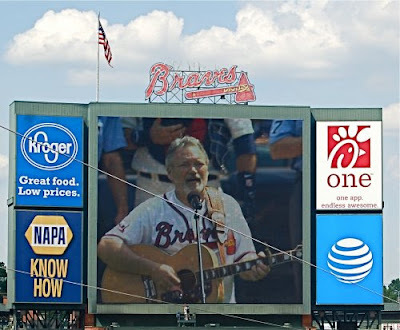 On Saturday, July 2, country music star John Berry saluted the nation when he performed the national anthem at an Atlanta Braves home game against the Miami Marlins. The game was the final July 4th weekend series in Turner Field history. The Braves will move to their new stadium near Marietta, Georgia to open the 2017 season. 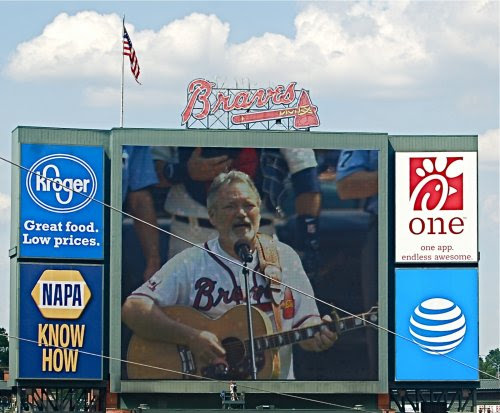 "Performing the national anthem on 4th of July weekend at a Braves baseball game, in my home state, was pretty incredible!" says Berry. "I don't think it gets any more American than that. And to have one of my favorite Braves players, Jeff Francoeur, run out of the dugout to shake my hand and thank me was pretty darn cool!" Last Friday, Berry performed a song from his new album, What I Love The Most, on Atlanta's CBS46. Watch the full performance HERE. Berry's new album is available for purchase now at JohnBerry.com, Amazon and iTunes.